What about me? was founded to enable adults working with vulnerable children to better understand the effects of stress, trauma and living in difficult circumstances. Founded by Sharon Hughes and Kate Tabb, the organisation does this by educating the educators, empowering professionals and putting compassion for children first. What about me? works with providers responsible for the education of vulnerable children together with carers, adoptive parents, foster carers, special guardians, local authorities and social workers. They provide practical solutions to better manage challenging children with tangible results improving outcomes in education, social and emotional progress. More recently, training has been provided for youth workers, youth offending teams, police officers, housing officers, personal assistants, volunteers and others working with vulnerable children and young people. 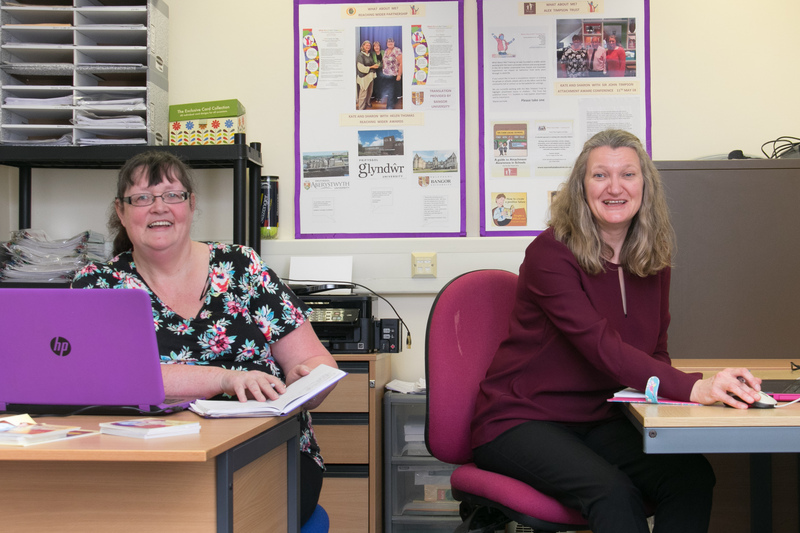 Sharon and Kate have both worked in secondary education for a number of years and had extensive experience working with challenging children in the classroom. Having decided to start their own training business, they obtained initial funding from the Reaching Wider partnership (North and Mid Wales) and delivered a free course to delegates from Aberystwyth, Bangor and Glyndwr universities as well as providing training for individual schools, colleges and youth teams. Sir John Timpson, who has a strong affinity with their programme delivery, has written several books on the subject of attachment and has included What About Me? in his latest booklet, “A Guide to Attachment Awareness in Schools”. Sharon has been a foster carer for 14 years and Kate helped looked after children to settle back into mainstream school following permanent exclusion. They set up the business to help children to maintain their school and foster placements. “Prior to registering our business, we completed a six-week start-up workshop with Business Wales in Wrexham. Modules included finance, marketing, business management and forecasting. We then took every opportunity to avail ourselves of the ongoing services Business Wales offer, including accessing information from business insurance specialists, marketing gurus and a tax consultant. We accepted and acted upon advice from Superfast Business Wales regarding social media and online advertising. The support regarding keeping business and private contact details separate and guidance around SEO optimisation for the website were particularly useful. Two of our major contacts found us online but for some people no amount of emails, telephone conversations and tweets can make up for a face-to-face interaction. After the initial contact, we try to meet with people in order to discuss their requirements and create a bespoke training package for them. This approach has given us a fabulous excuse to travel and meet people from Glasgow to Godalming. More recently, our Business Wales adviser, Liz Wallens, has enabled us to get recognition for our commitment to the environment, ensure our CSR and environmental policies are compliant and help us apply for available grants in our sector. Currently, Liz is helping us explore the possibility of becoming a social enterprise which will open up new funding opportunities. In addition, we have received support from the Welsh in Business project to incorporate bilingualism at work. We are grateful to everyone at Business Wales who has visited our offices, grabbed a coffee and taken an interest in us by chatting face-to-face and increasing our contacts.